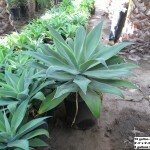 Agave attenuata - Jimenez Nursery, Inc. 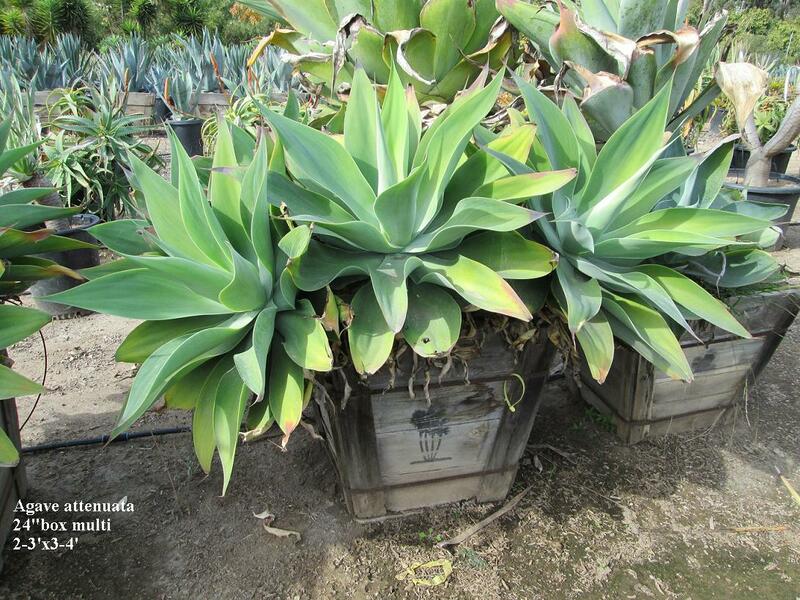 This agave has soft leaves which vary from green to bluish in color. 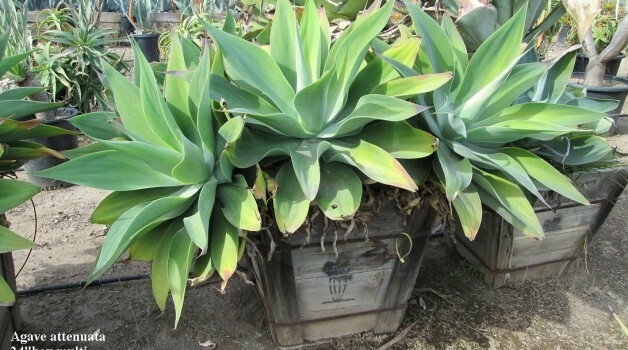 It can form clumps 5 feet tall and 5 feet wide. The flower is borne on a tall arching spike. 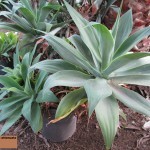 Best Uses: An attractive ornamental plant which also does well in pots. 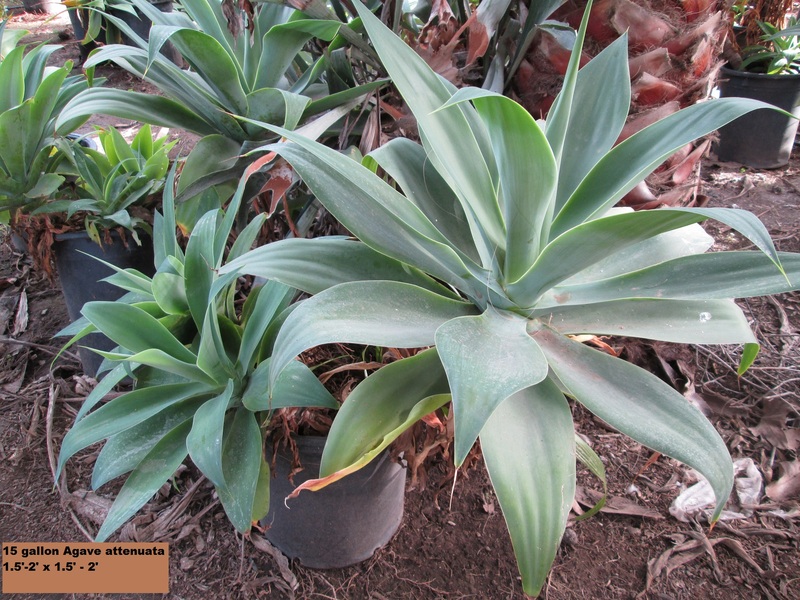 Recommended Placement: Spiky leaves are not an issue with this Agave and their velvety appearance are attractive to children. 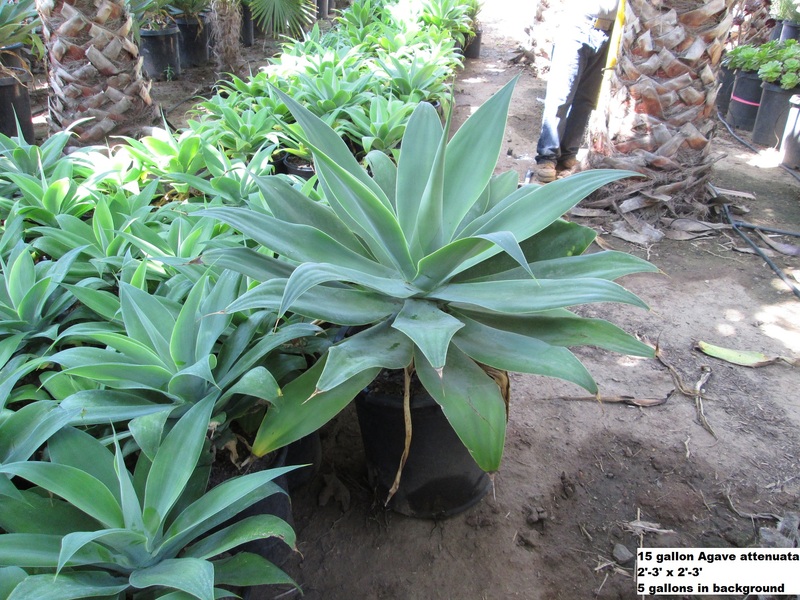 Can burn in hot sun and need protection from frost. Please see our Inventory List for an updated list of our current trees available today. Website design & development by Tarfoot, Santa Barbara, California.